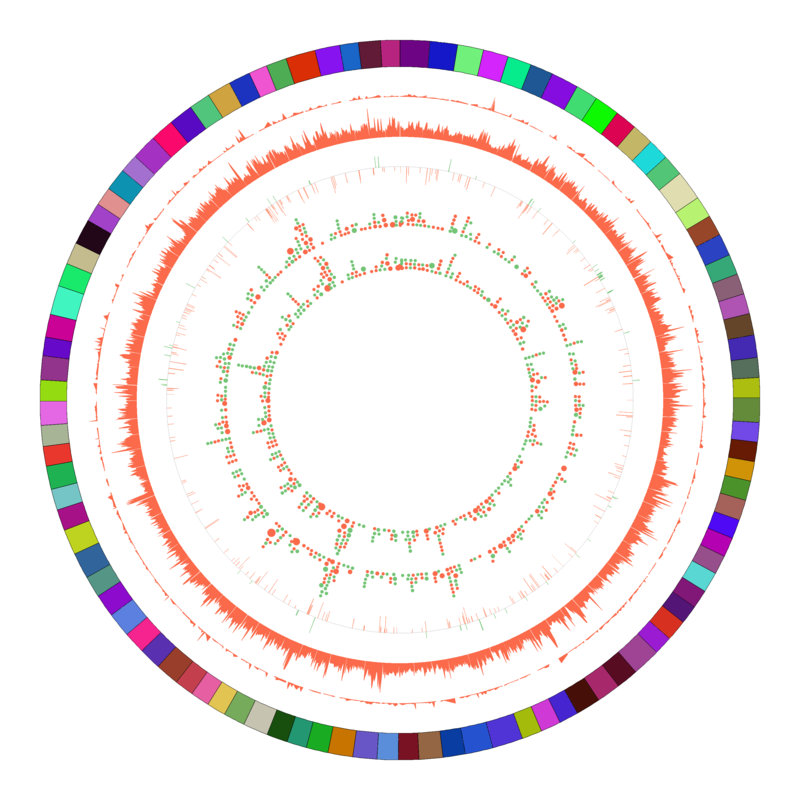 Welcome to the African turquoise killifish genome browser ! The African turquoise killifsh (Nothobranchius furzeri) is among the shortest-lived vertebrates (4-6 months) that can be bred in captivity. 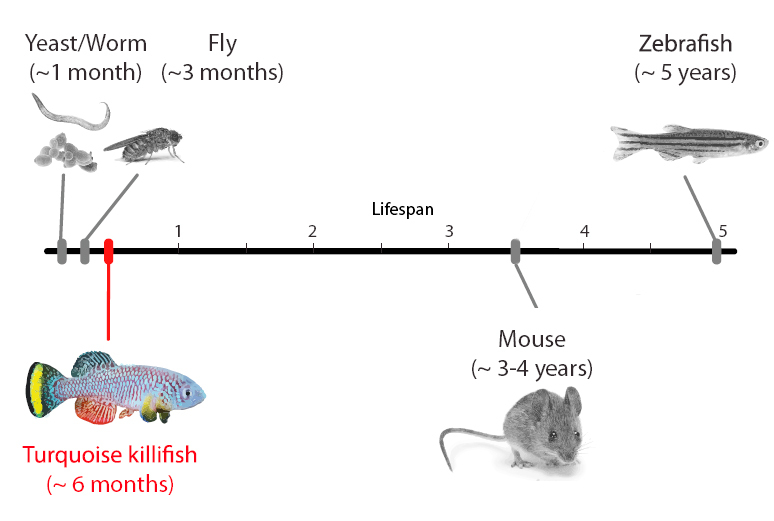 In addition, different strains of this fish have different lifespans, making it an attractive model organism for aging research. 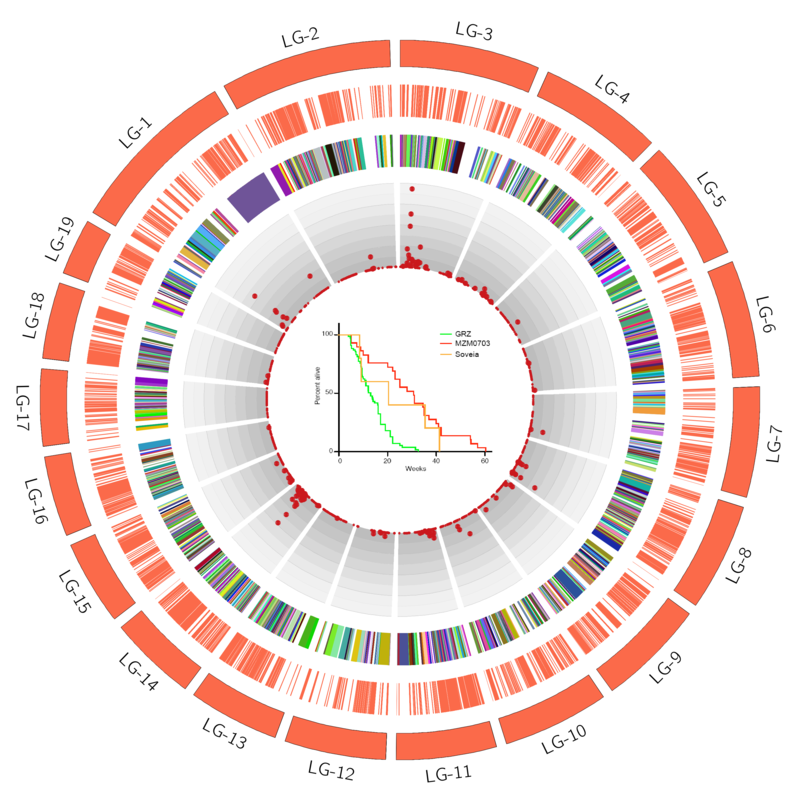 To understand the evolution and genetic architecture of longevity in this species, we de-novo assembled, annotated and analyzed the genome of the GRZ inbred strain to ~80x coverage. We also sequenced additional strains of this fish to identify SNPs and variants. Here, you can explore the draft killifish genome, browse genetic variation, histone marks and other genomic features. We also performed genetic crosses to identify Quantitative Trait Loci (QTLs) underlying different lifespan of N. furzeri short lived (GRZ) and long lived (MZM-0703) strains.